Trike Classes: Learn to maneuver your three wheels like a champ. Dates: April 27, 2019 (afternoon), May 25, 2019, and June 15, 2019. You'll need a valid Minnesota/Wisconsin automobile driver's license, and have the ability to ride and balance a bicycle. If you have a valid non-Minnesota/Wisconsin driver's license, you are responsible for checking with your state to confirm they will accept a waiver from the state of Minnesota/Wisconsin. 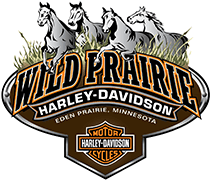 You will need a valid Minnesota Motorcycle Permit if you a Minnesota resident. You do NOT need to hold a Wisconsin Motorcycle Temporary Permit before class because you are on private property. If you intend to ride on the road prior to class, it is strongly suggested you do earn the Temporary Permit to remain a legal motorcyclist. For Wisconsin residents: After the course is completed and Waiver Form earned, you WILL need to complete the Motorcycle Temporary Permit test before the M endorsement will be given at the DMV. Completion Certificate from the MSF e-Course: This MUST be completed within (30) days of your class start date. There is a fee of $19.99 associated with this course, payable directly to the Motorcycle Safety Foundation. The course takes approximately (3) hours to complete, but you are able to take at your own desired pace and not in one session.